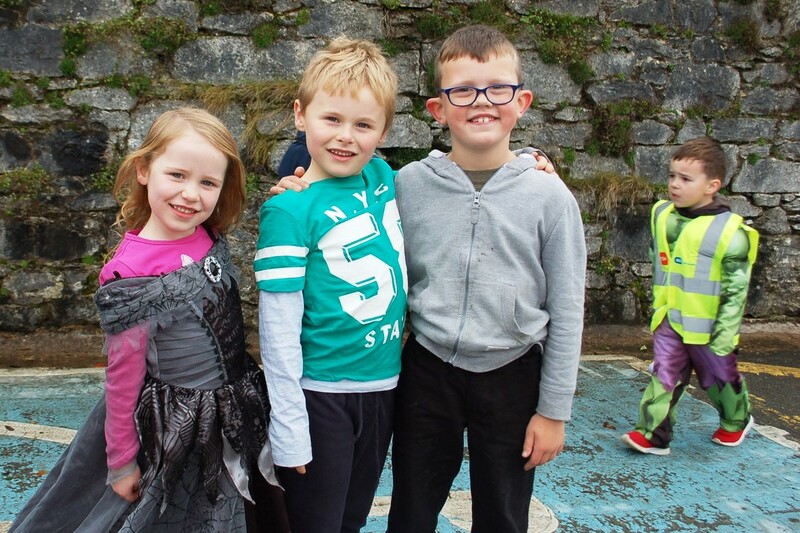 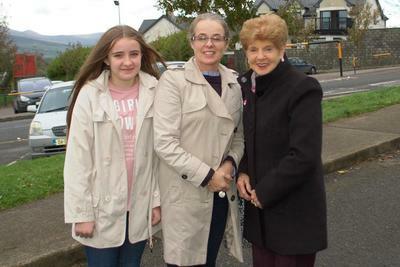 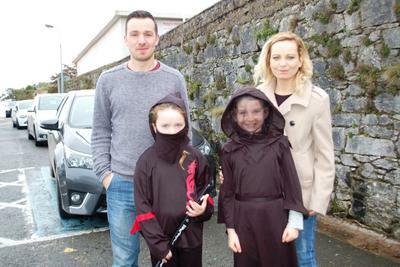 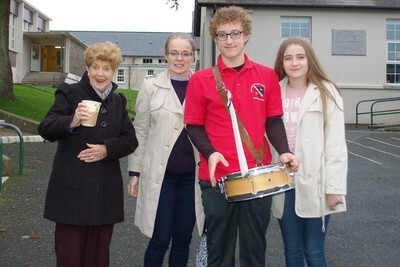 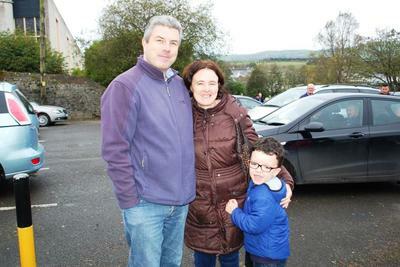 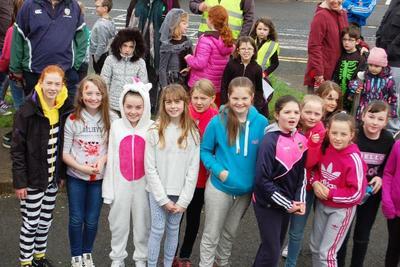 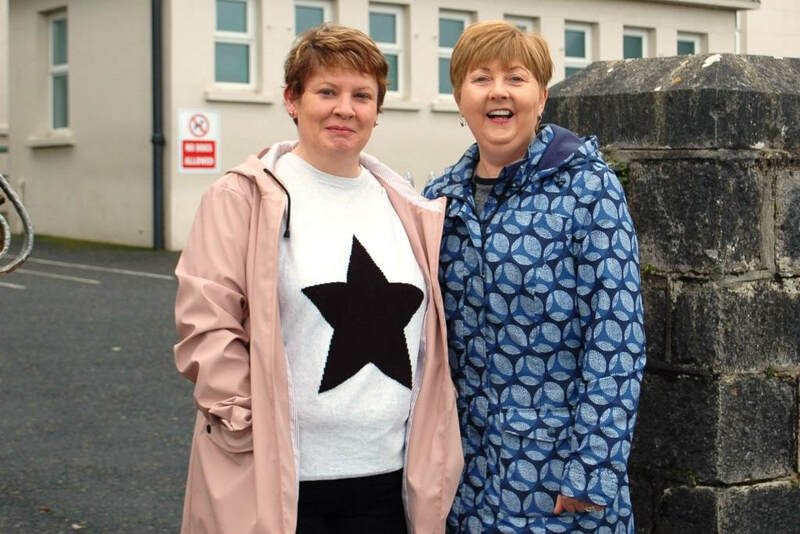 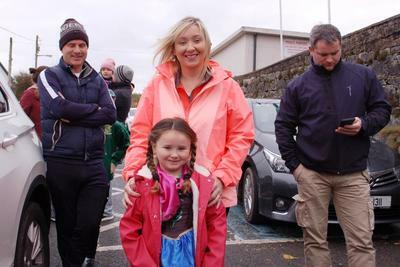 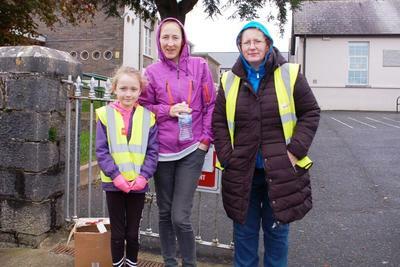 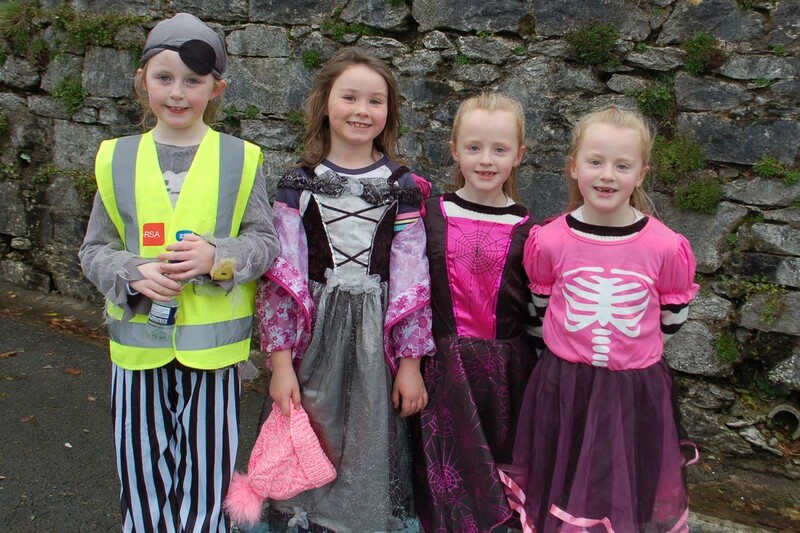 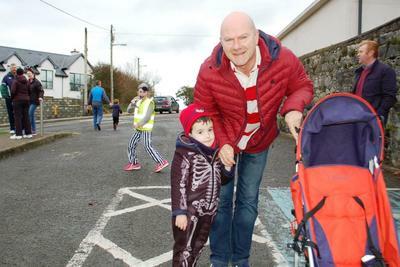 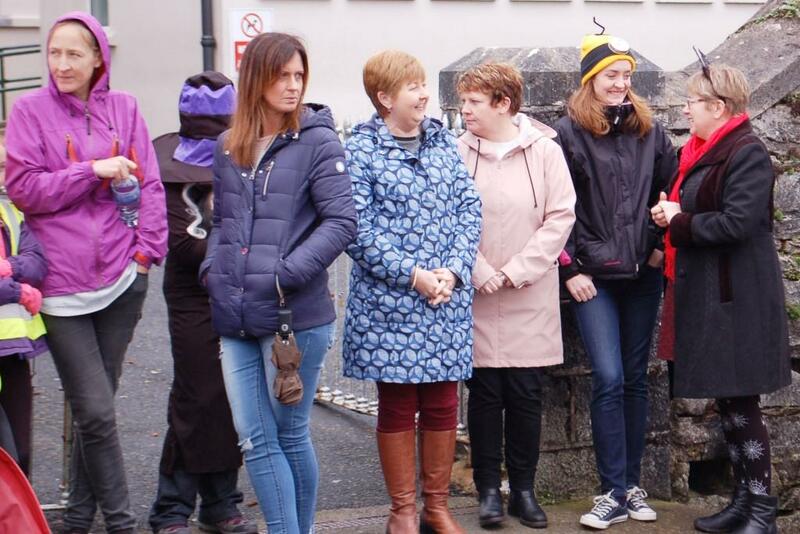 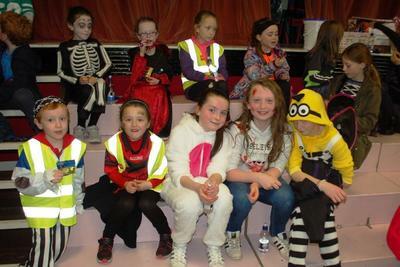 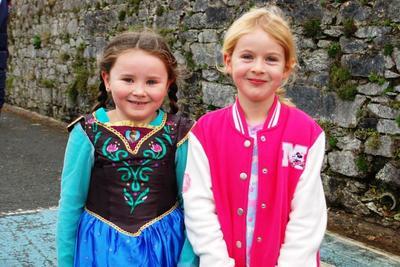 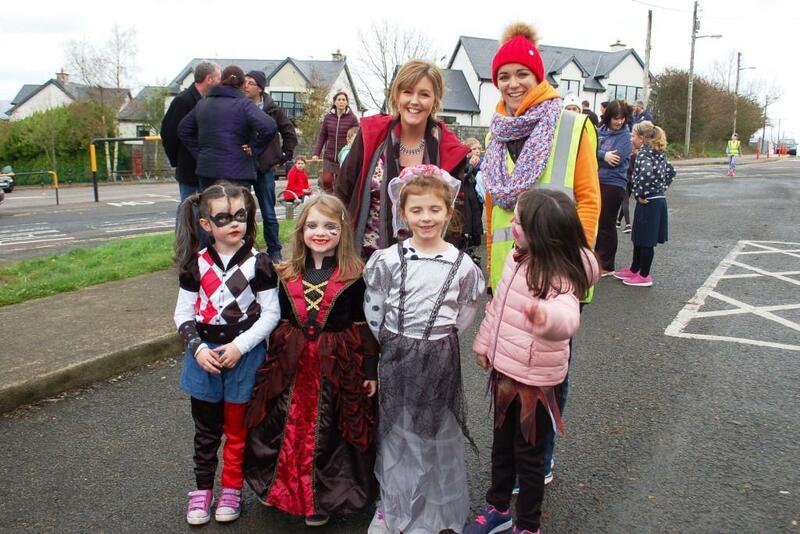 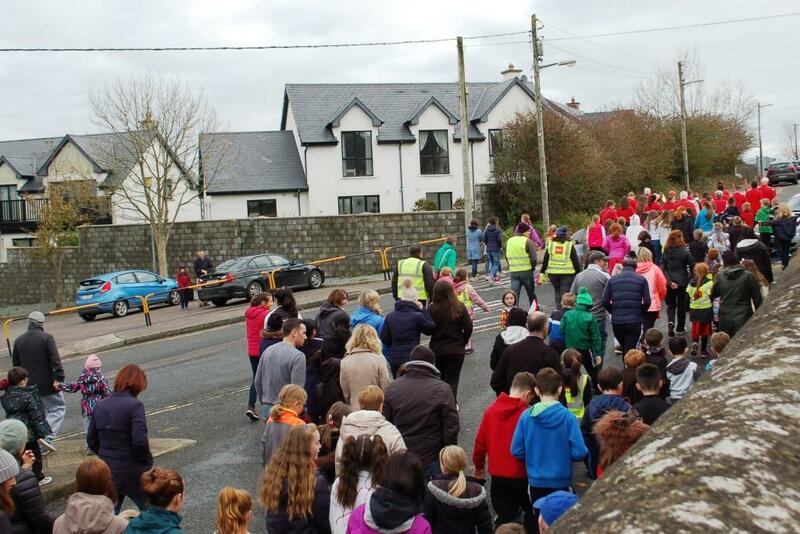 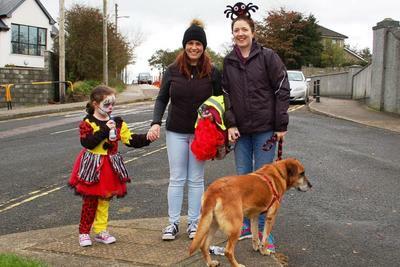 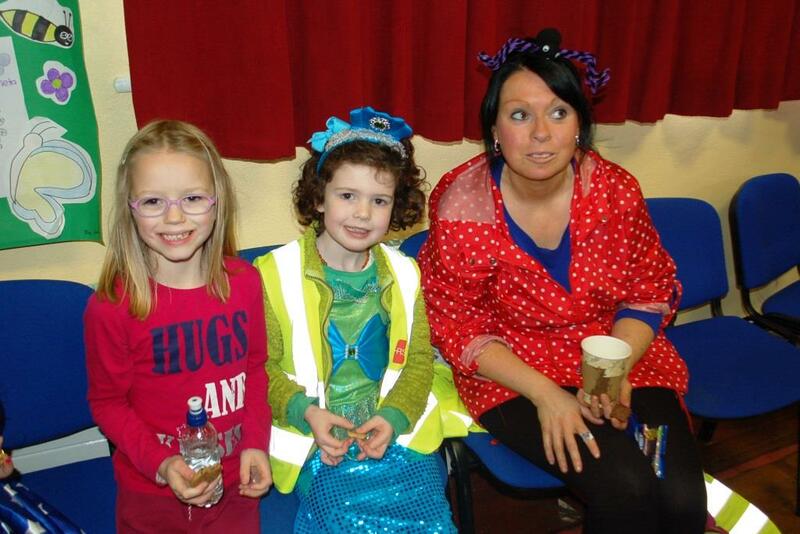 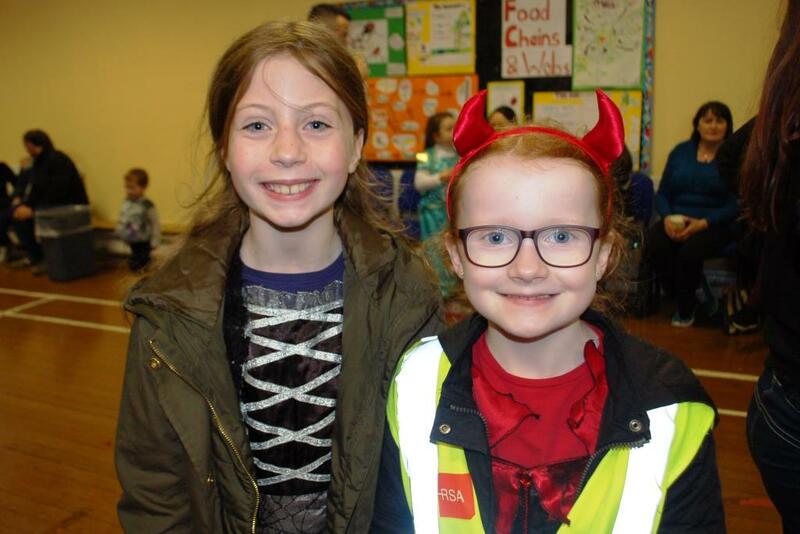 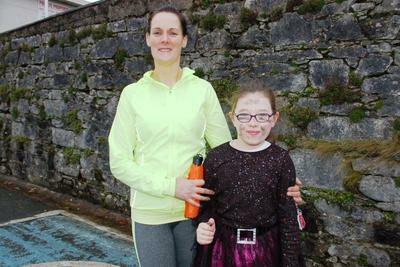 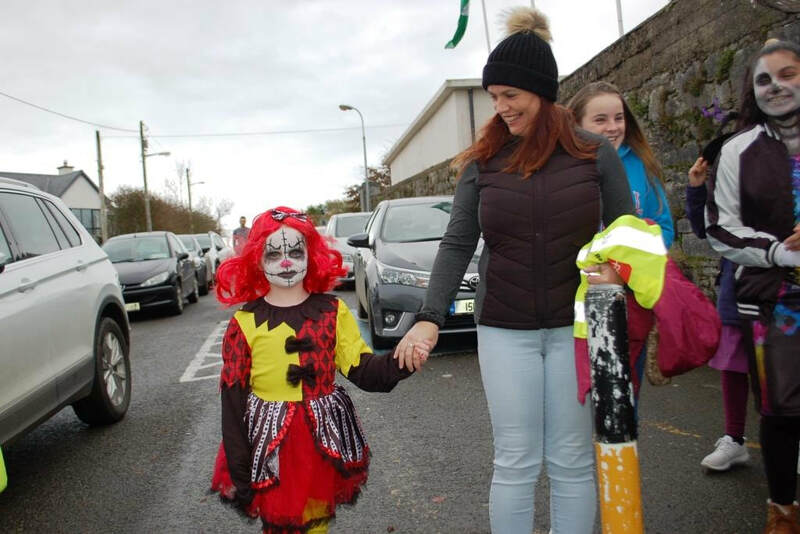 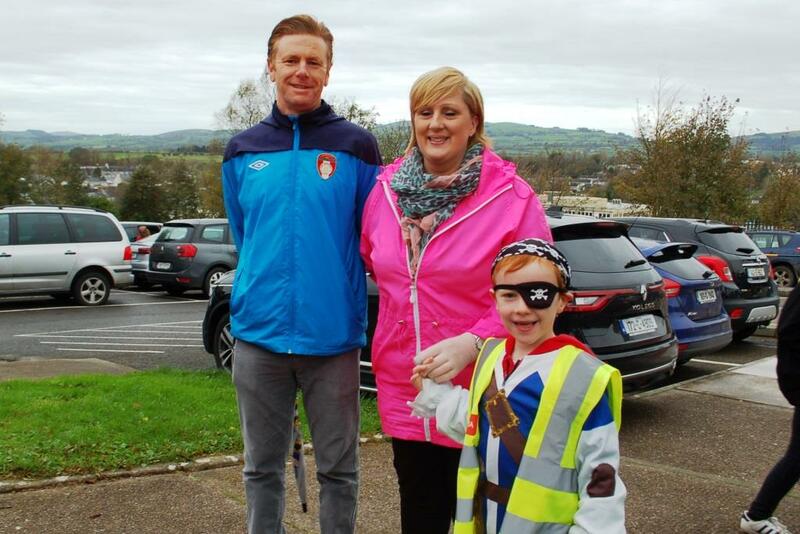 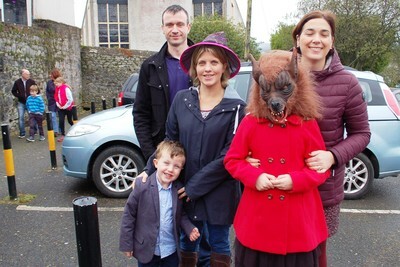 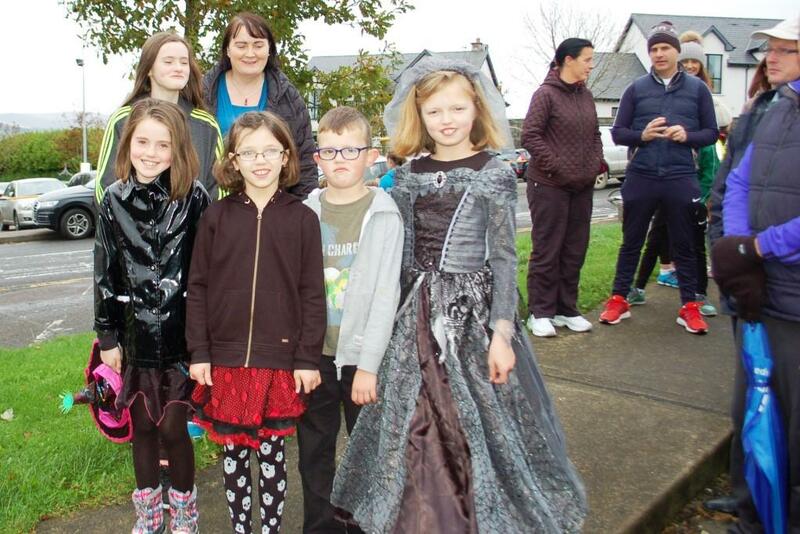 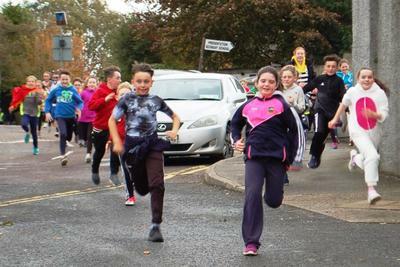 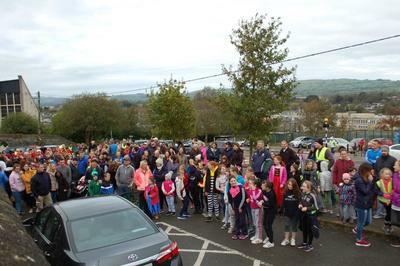 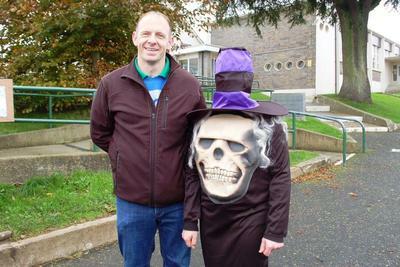 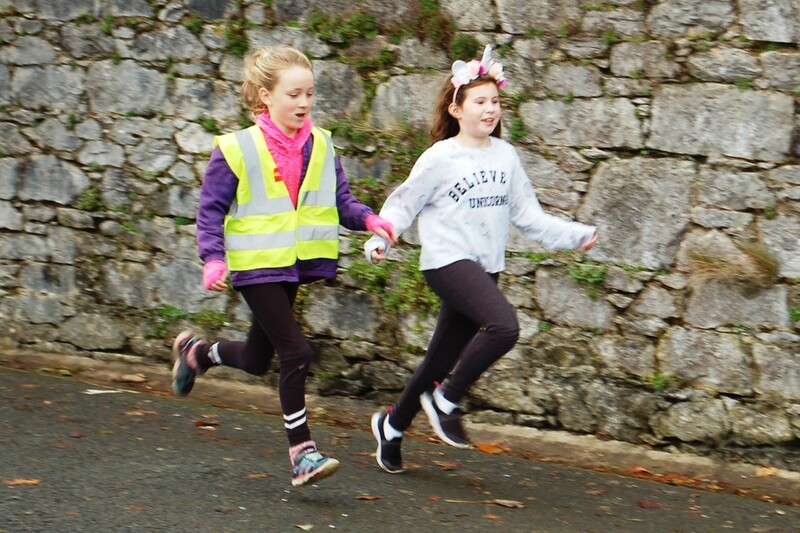 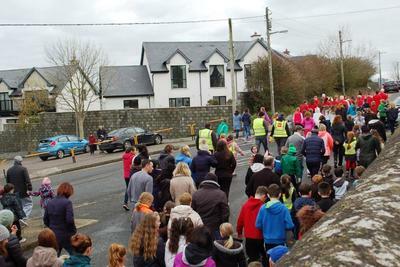 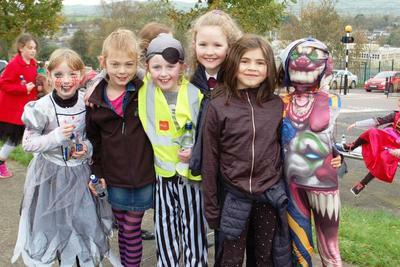 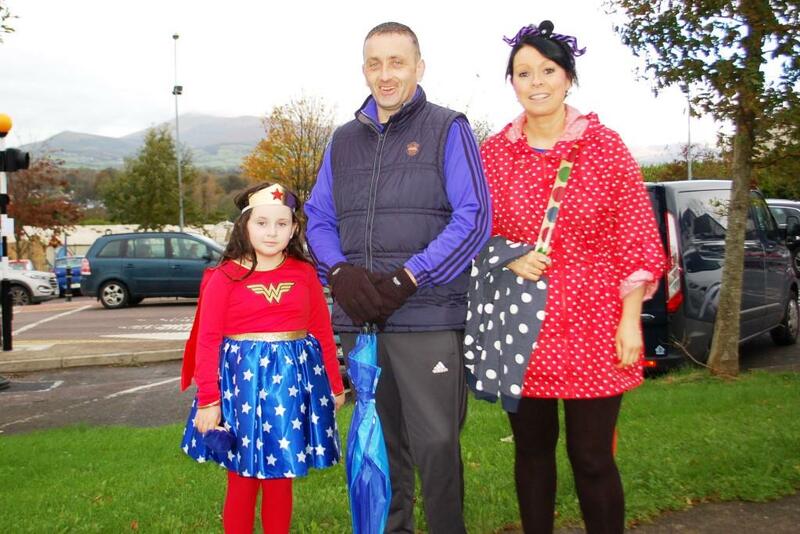 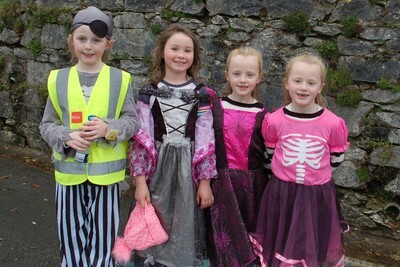 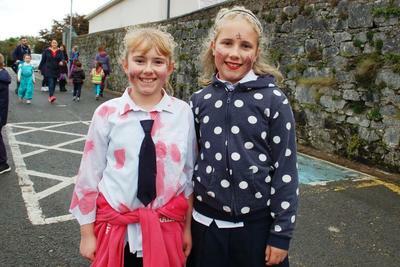 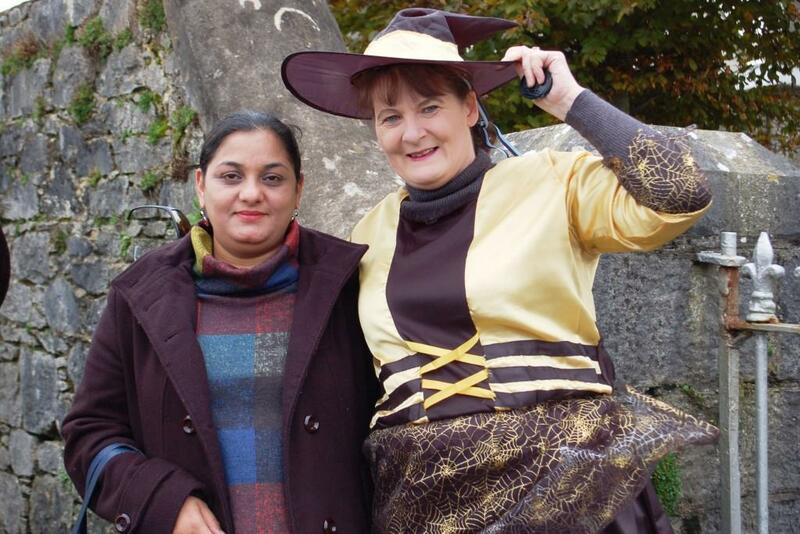 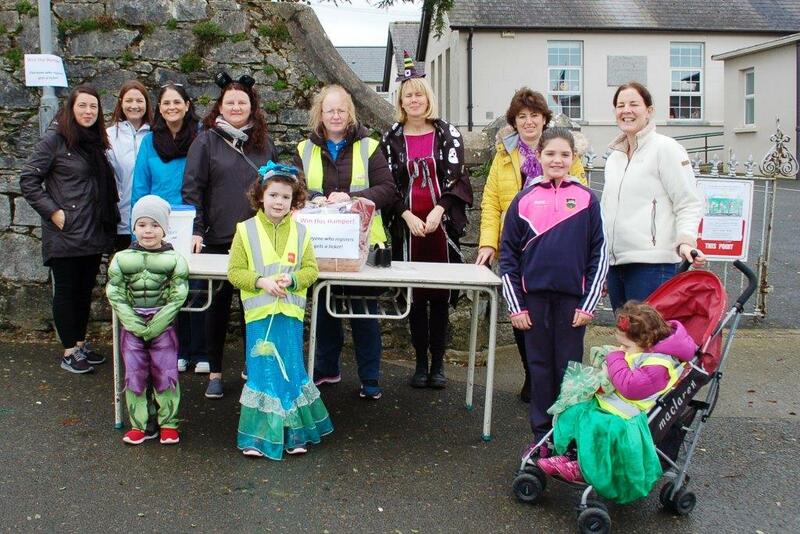 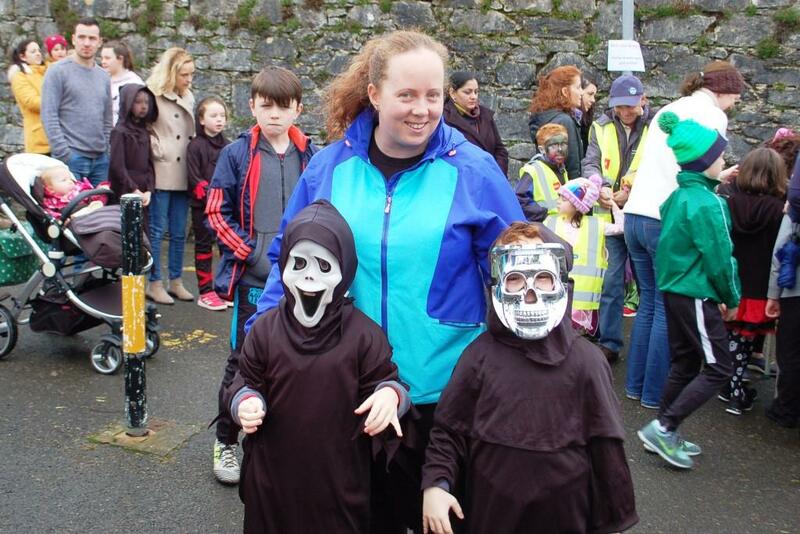 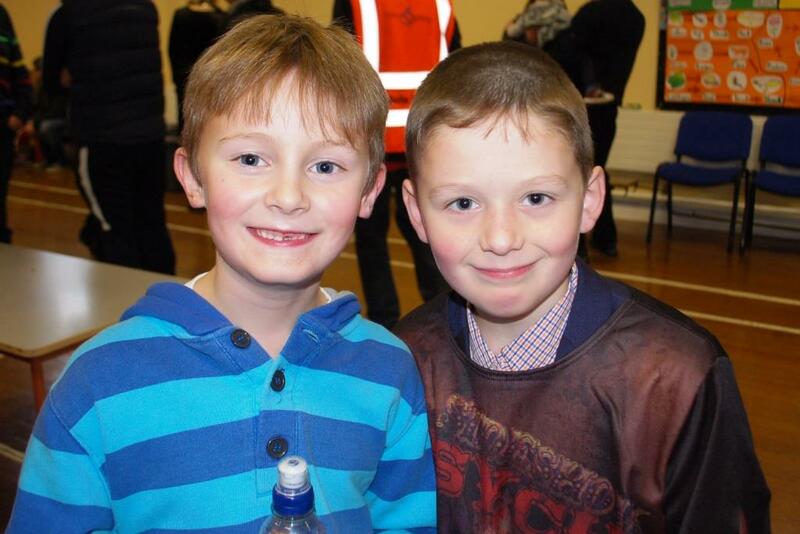 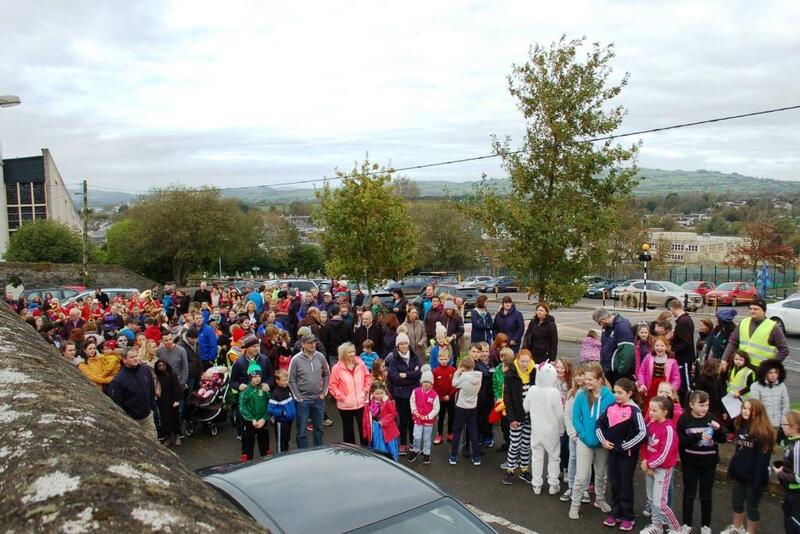 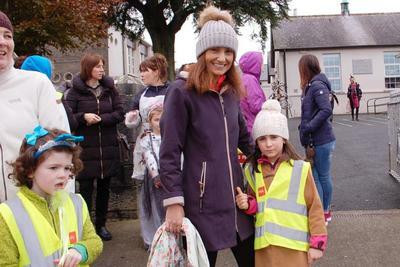 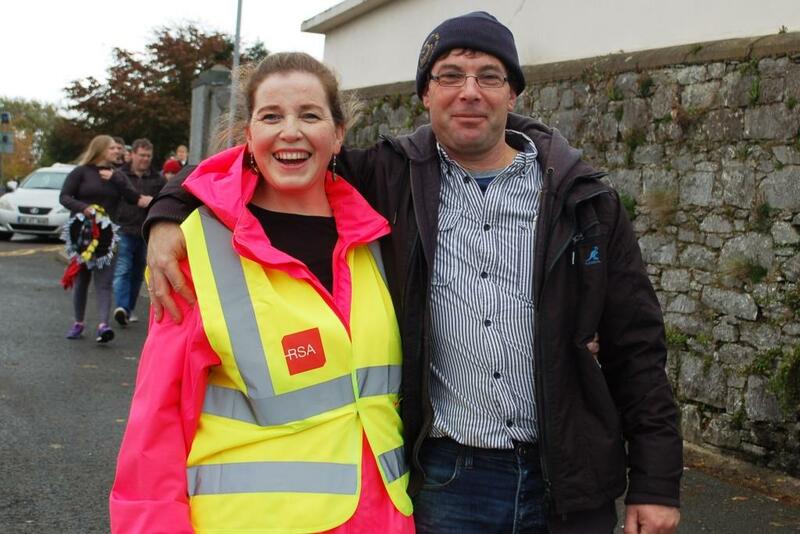 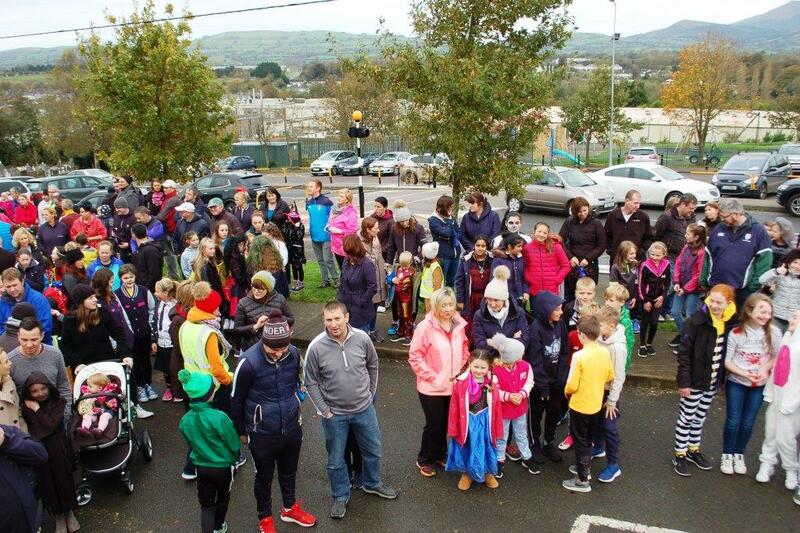 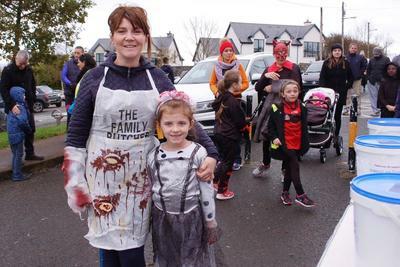 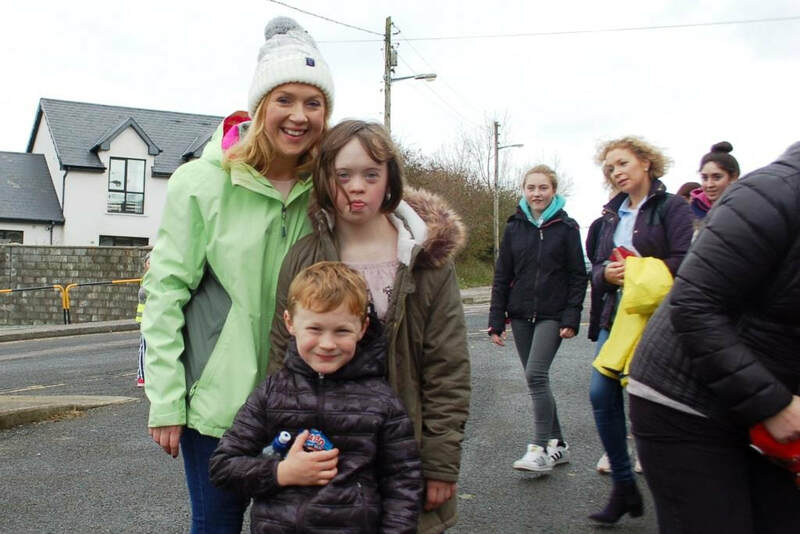 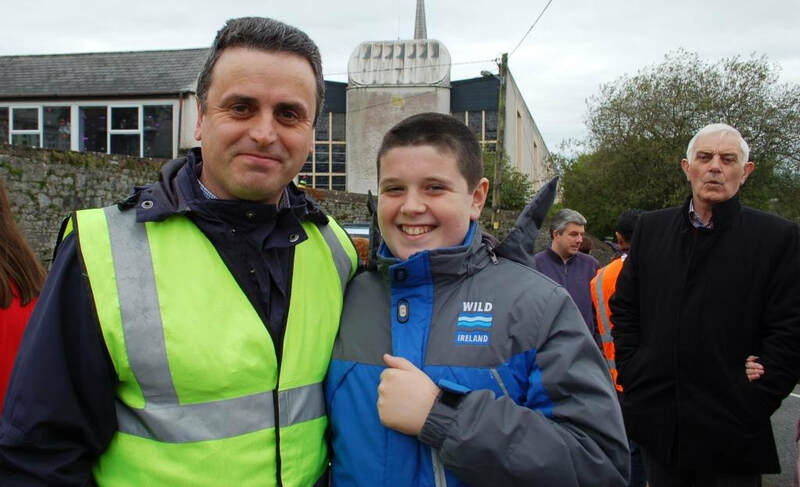 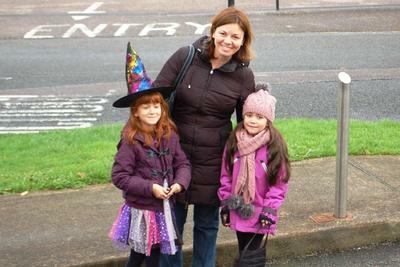 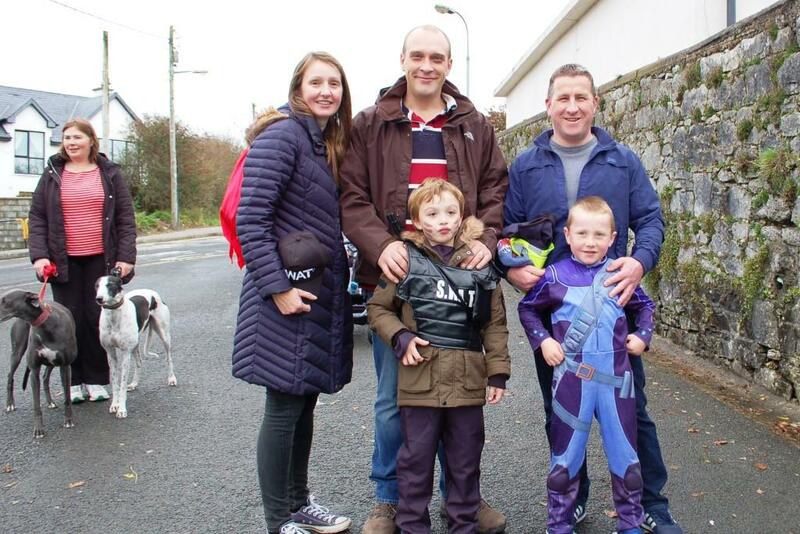 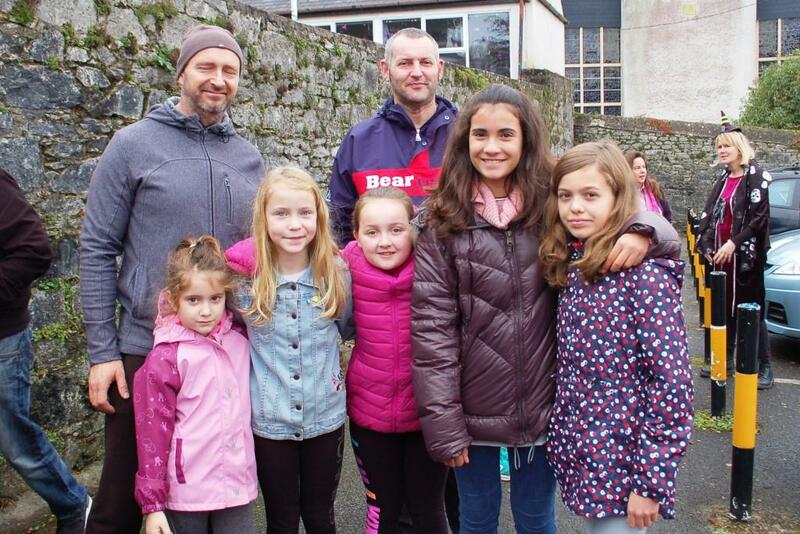 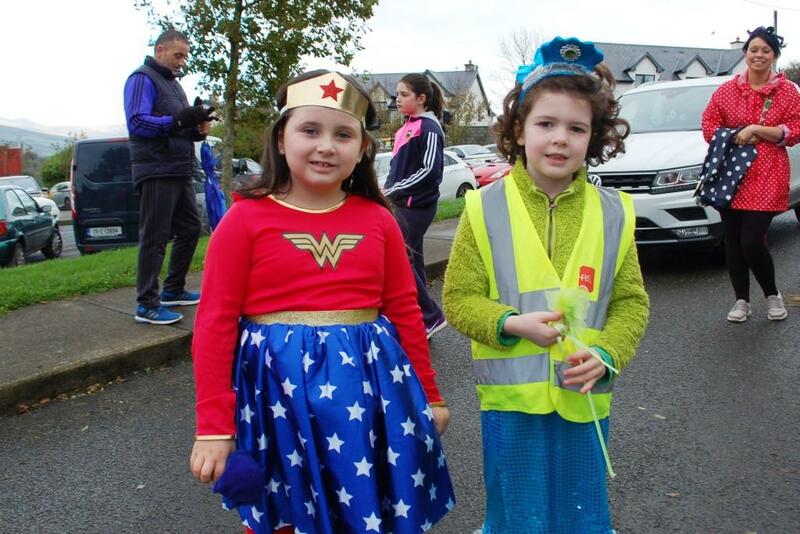 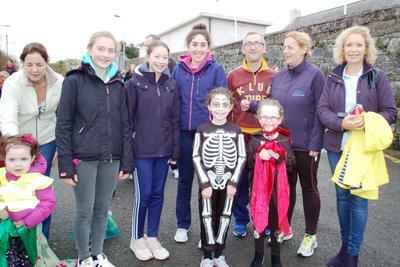 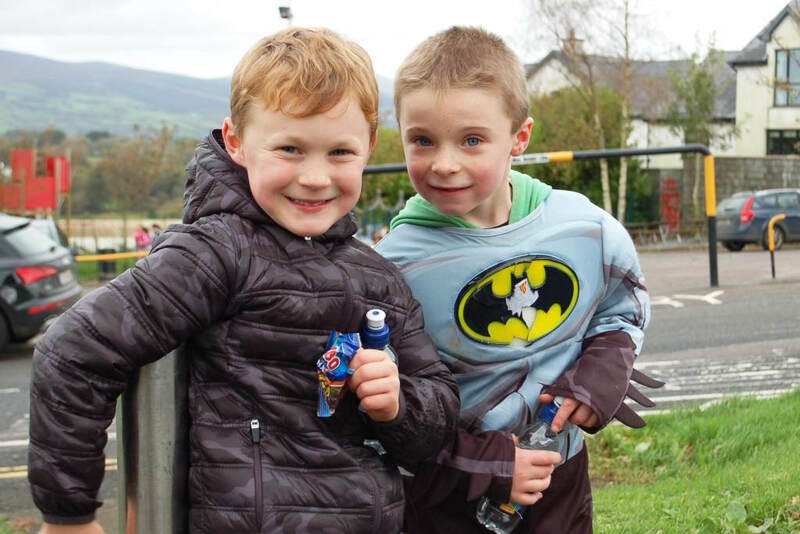 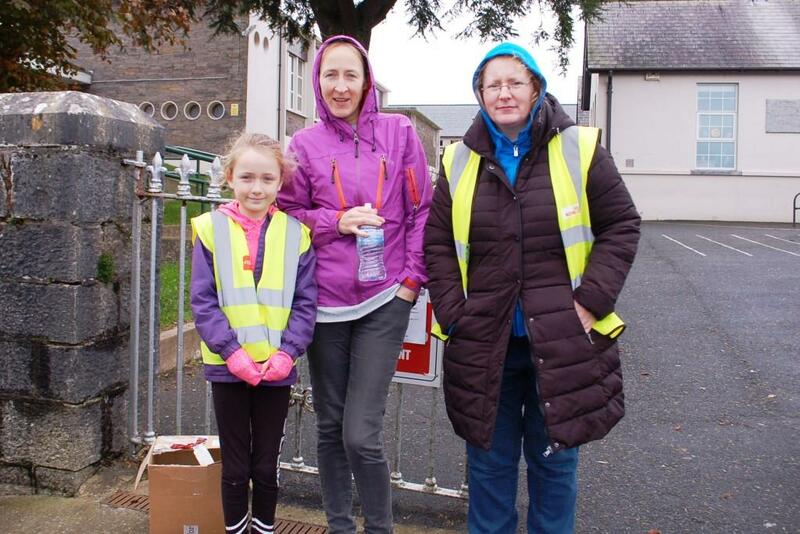 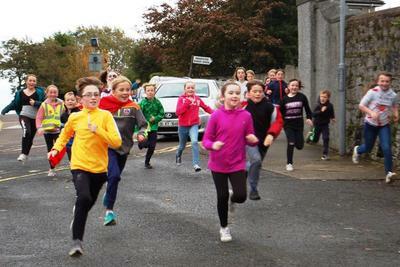 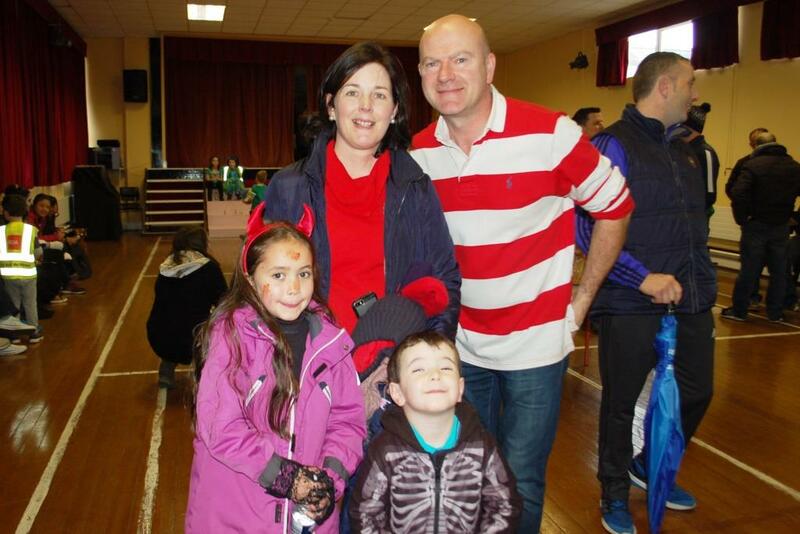 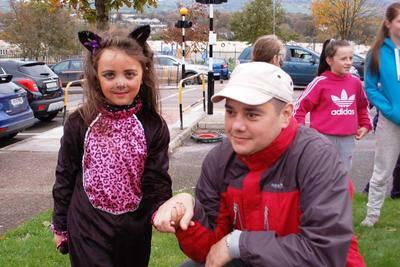 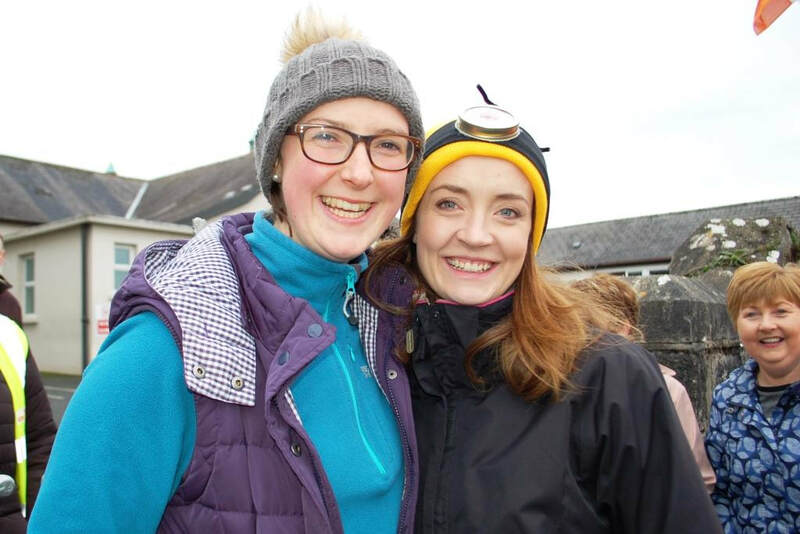 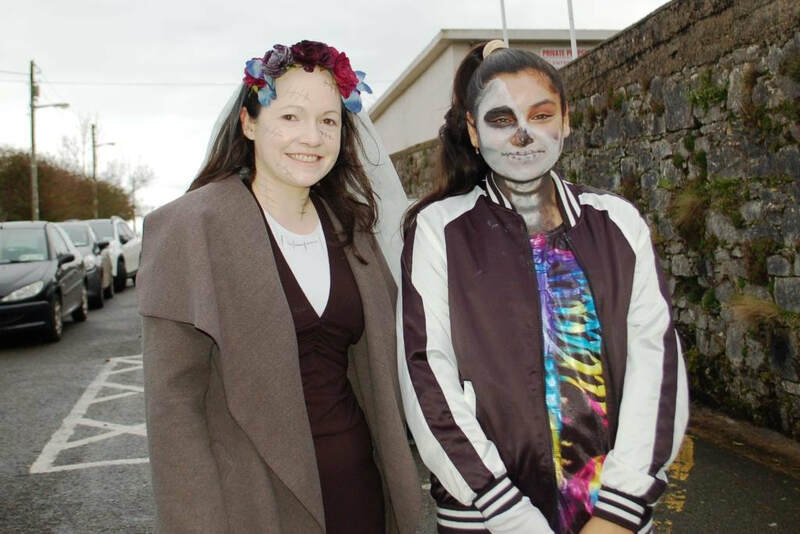 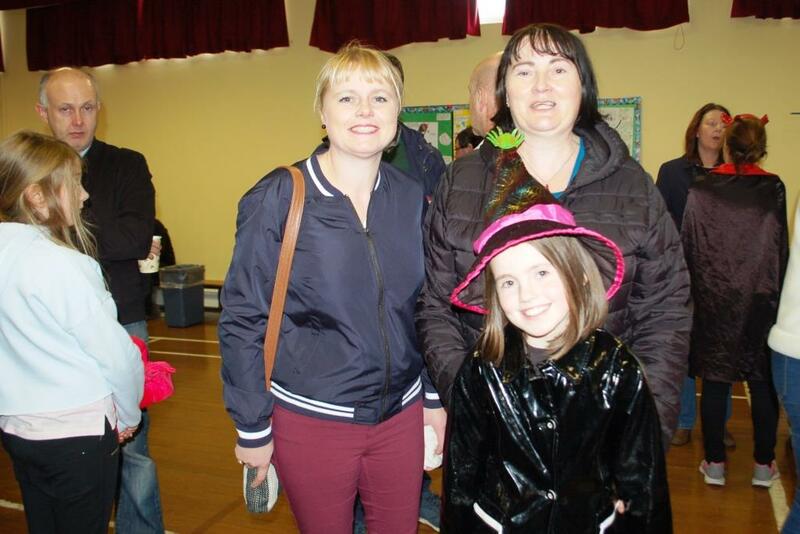 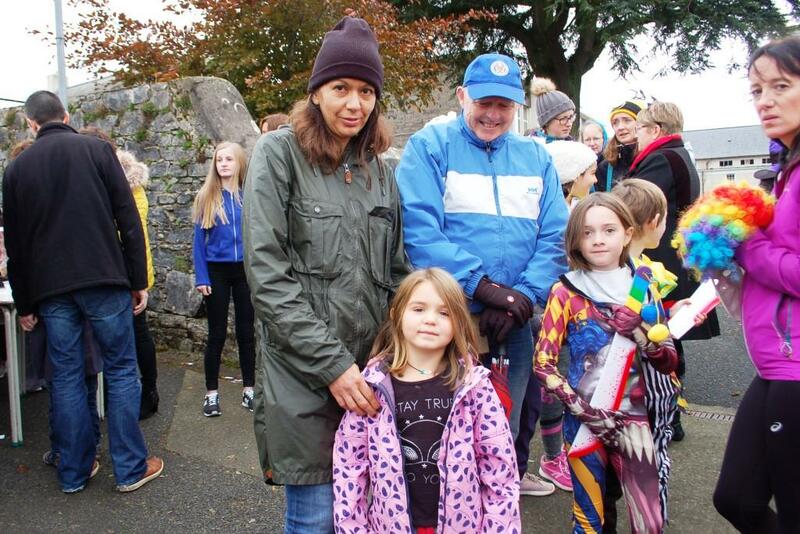 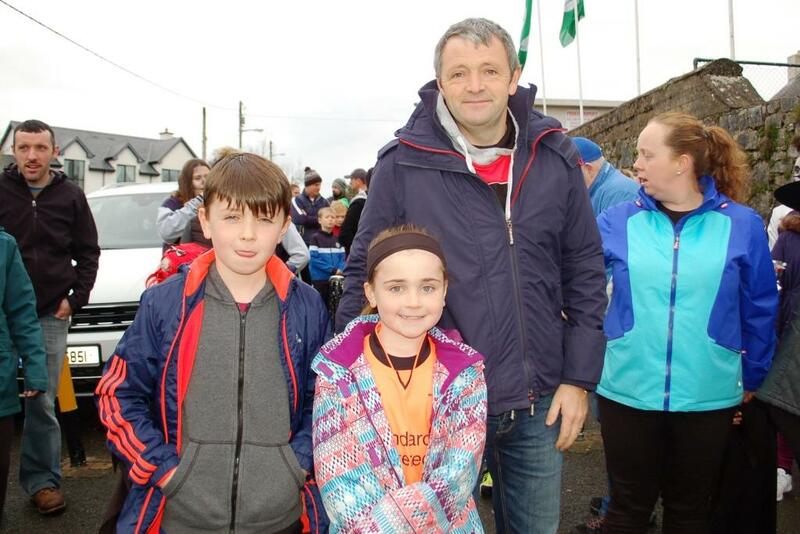 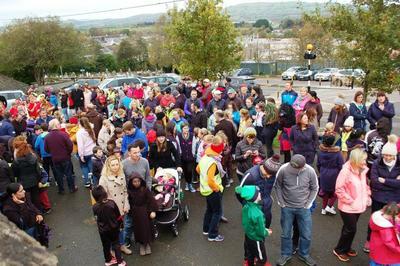 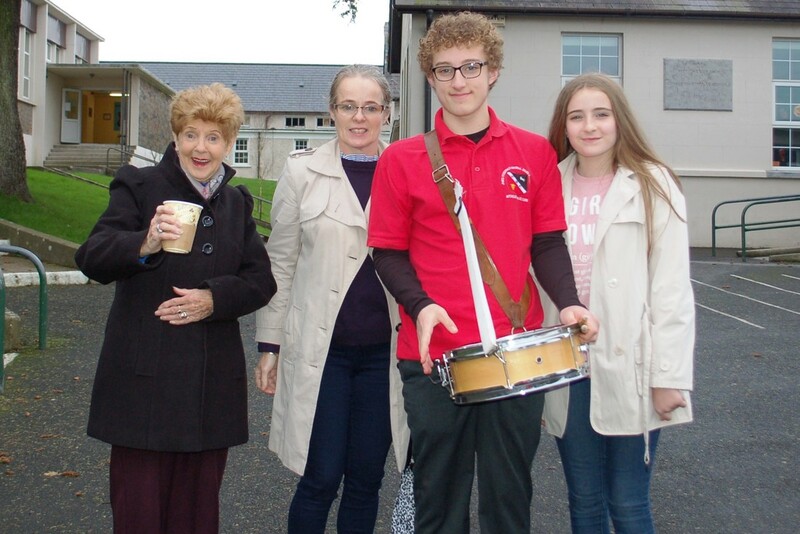 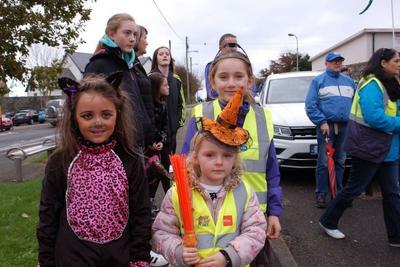 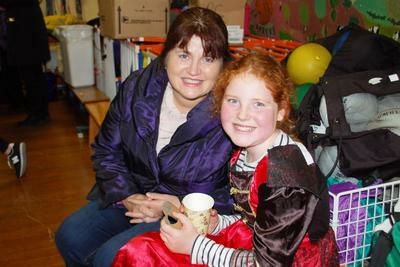 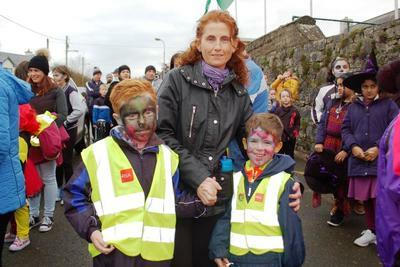 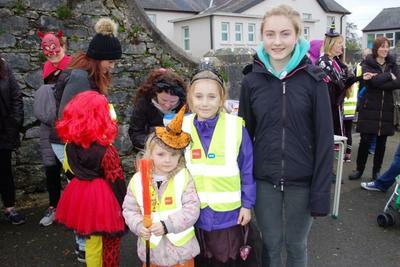 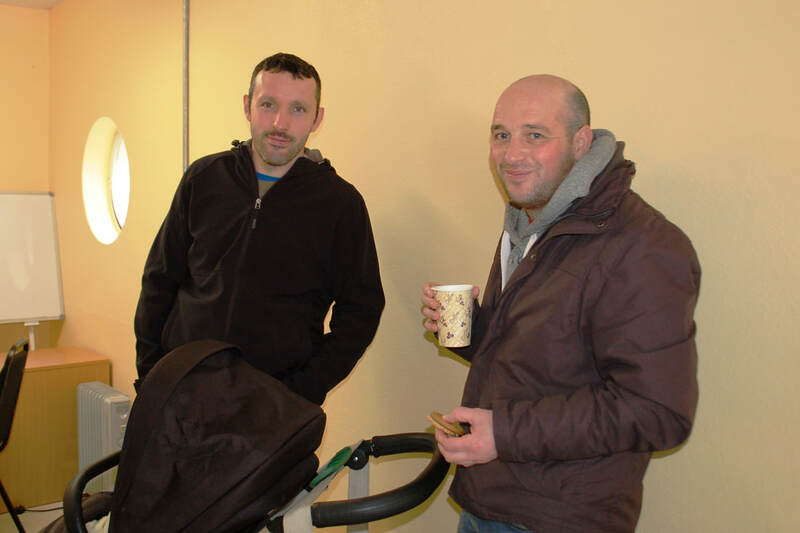 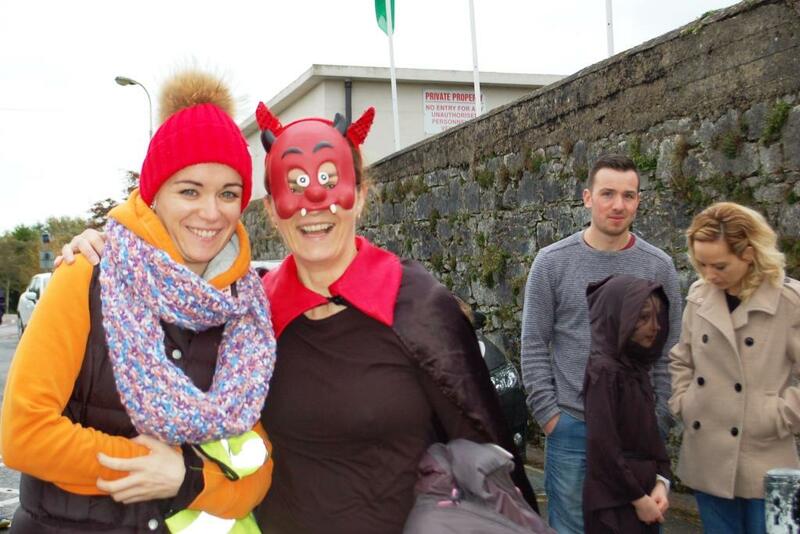 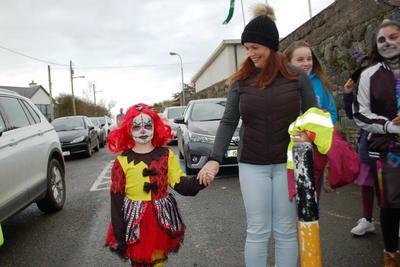 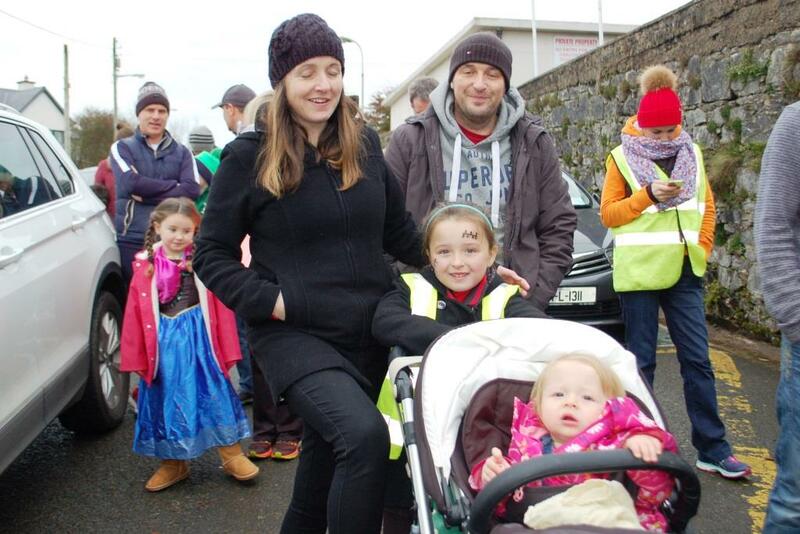 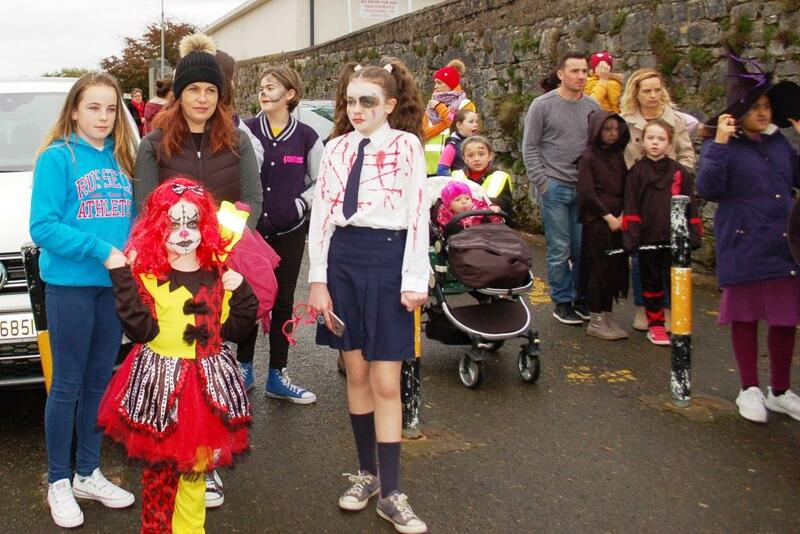 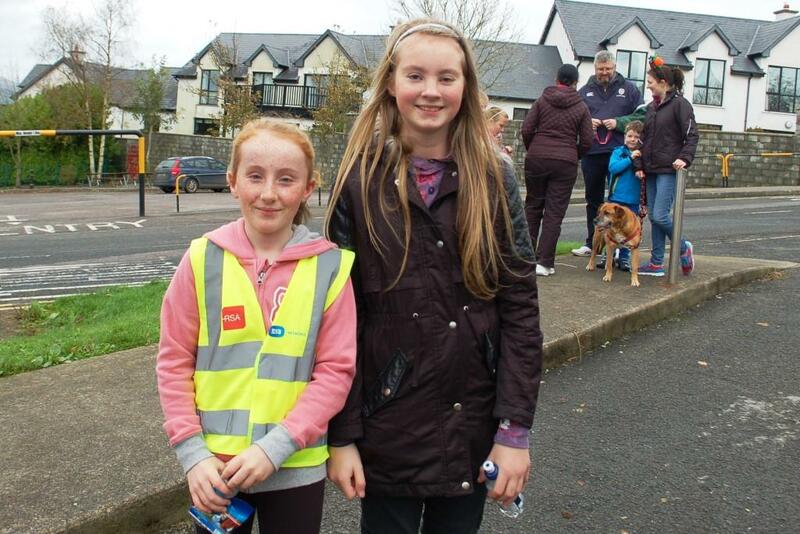 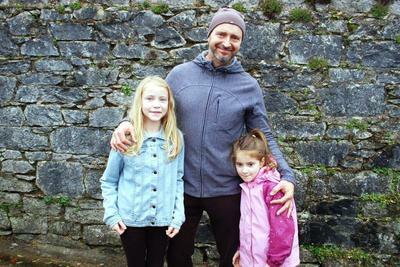 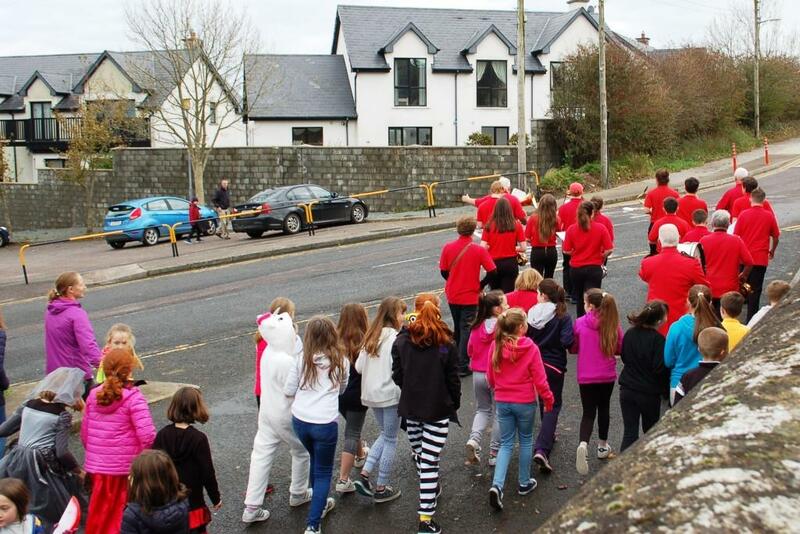 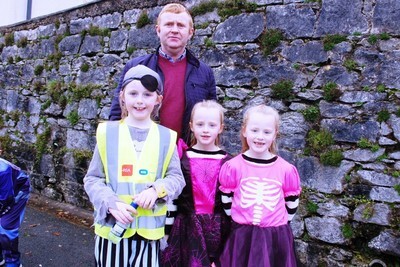 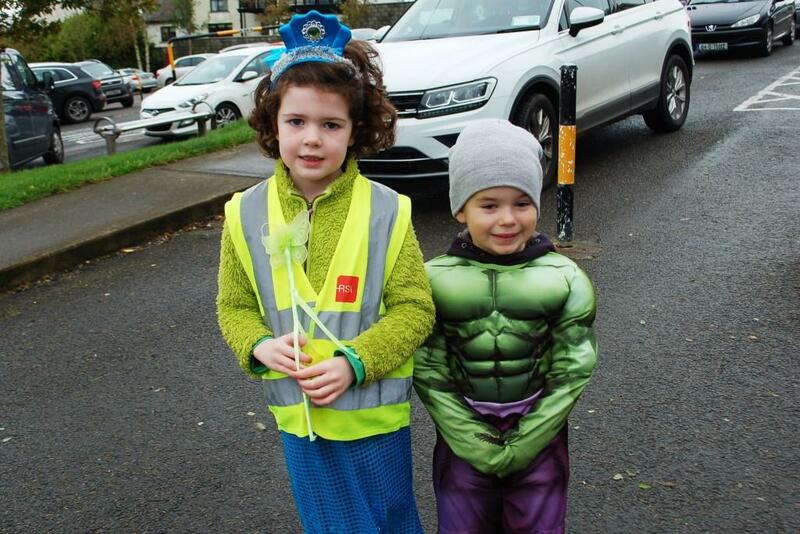 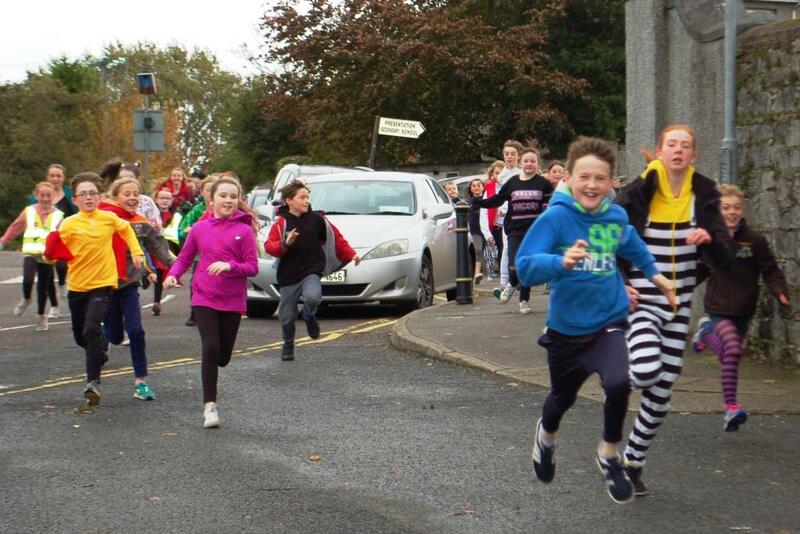 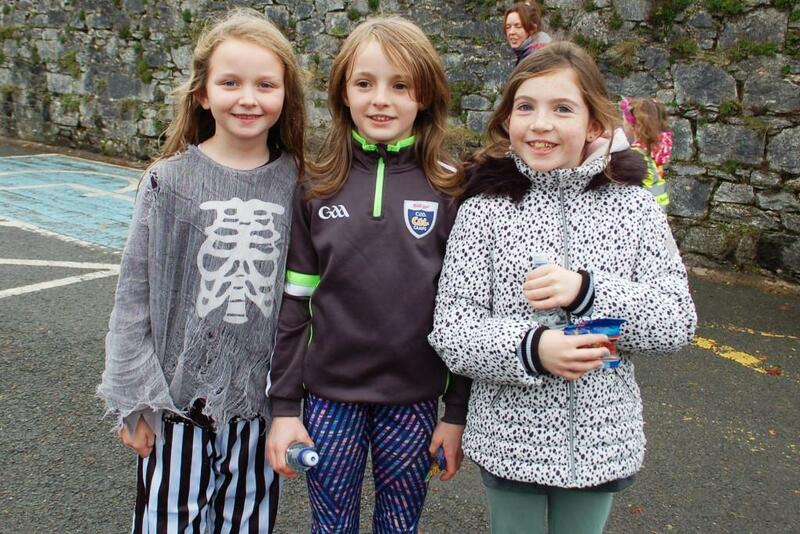 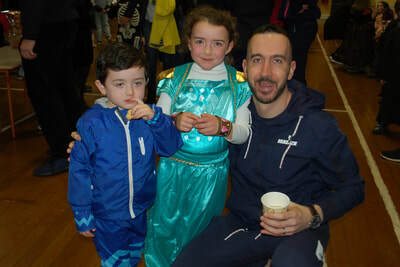 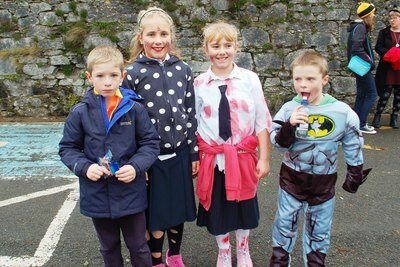 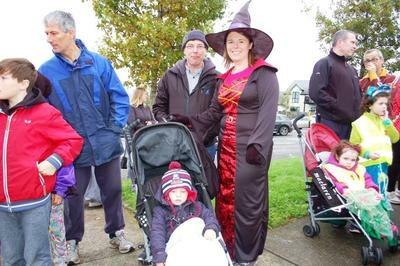 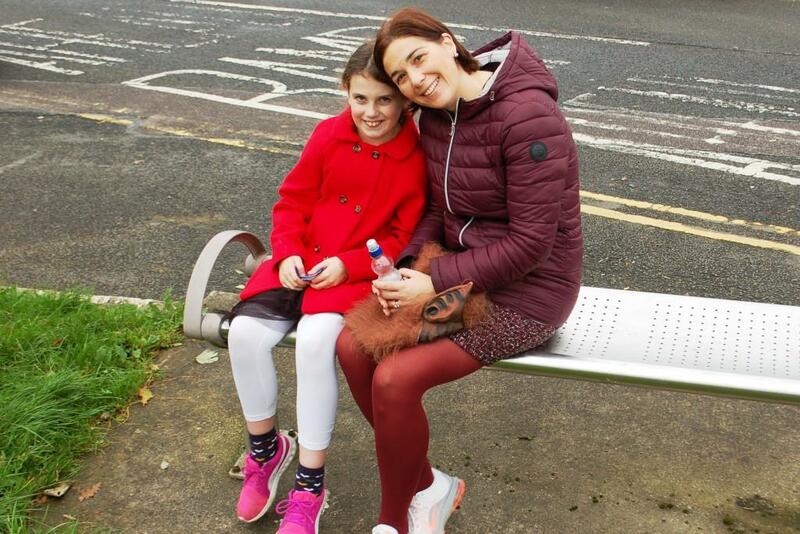 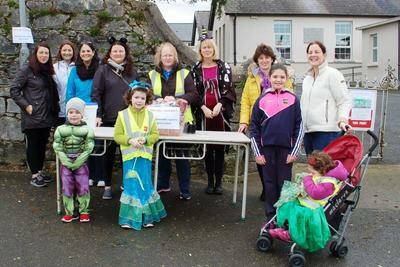 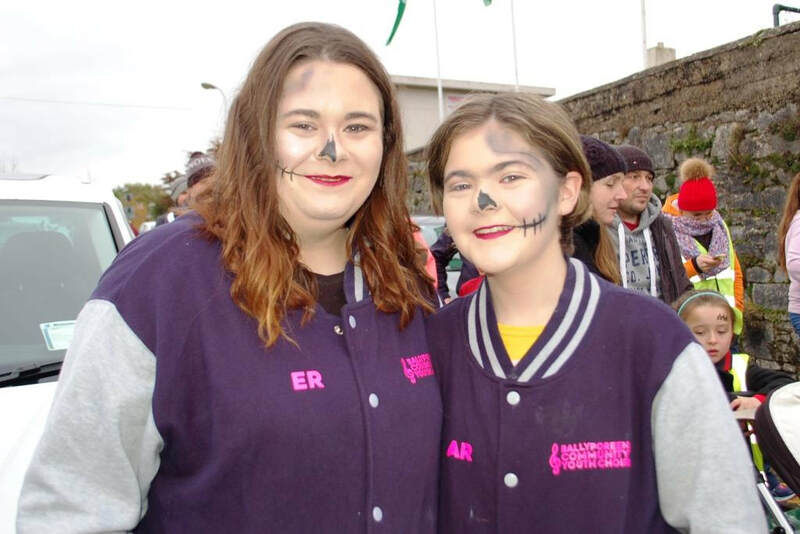 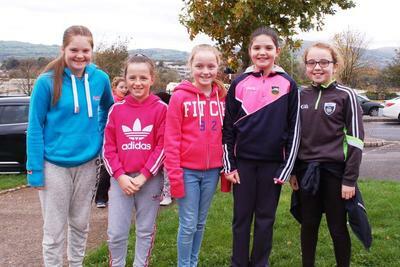 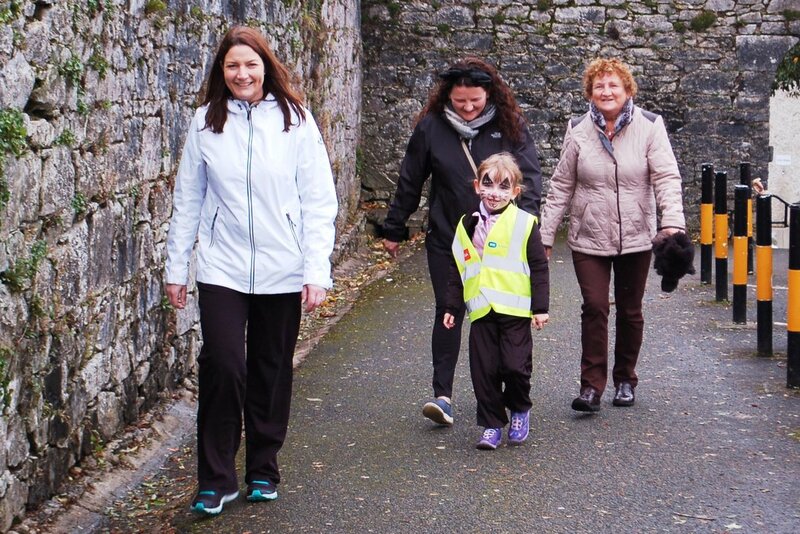 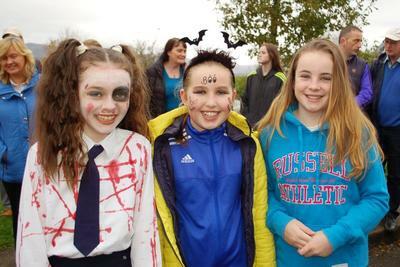 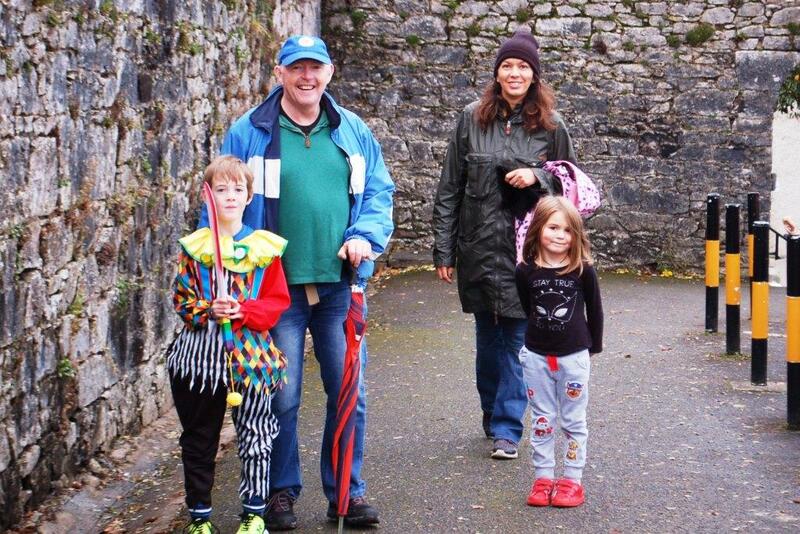 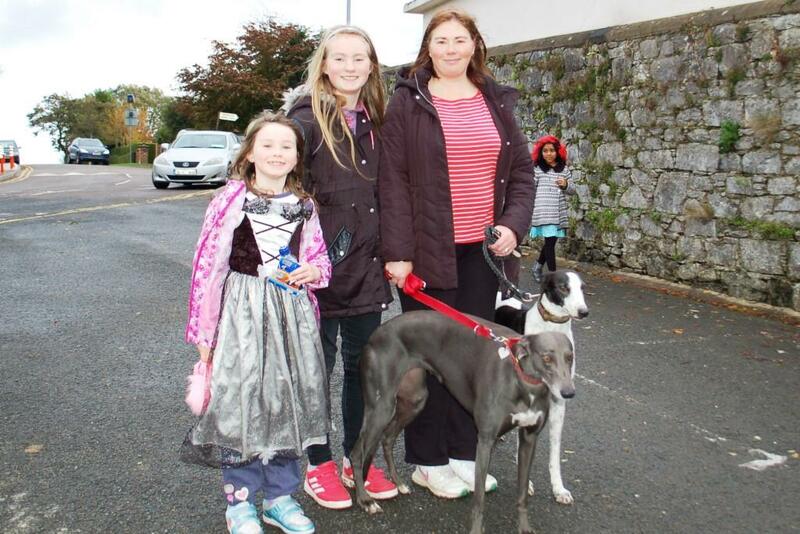 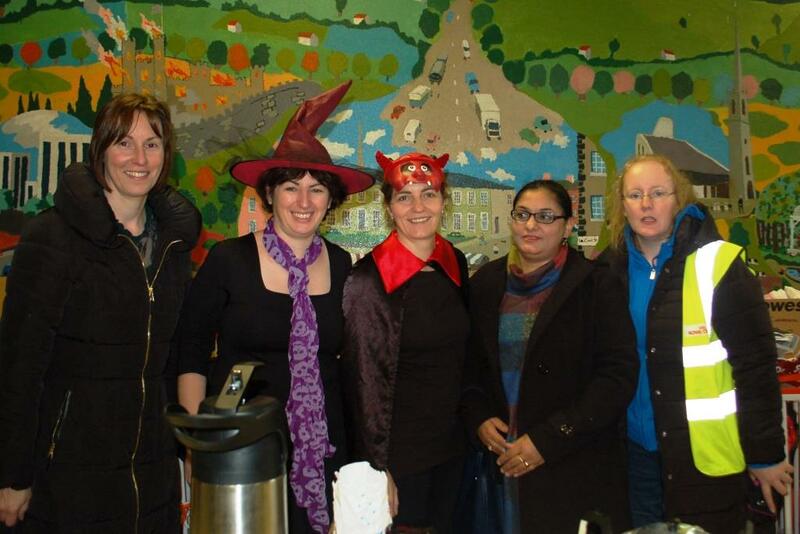 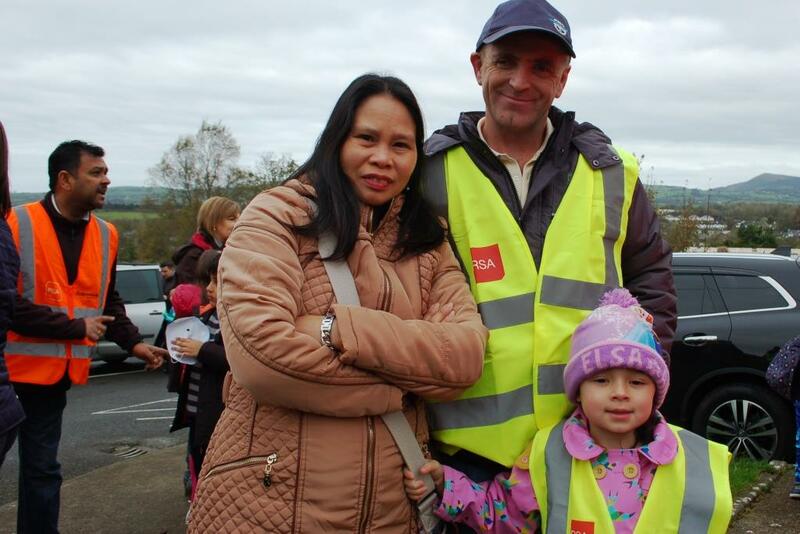 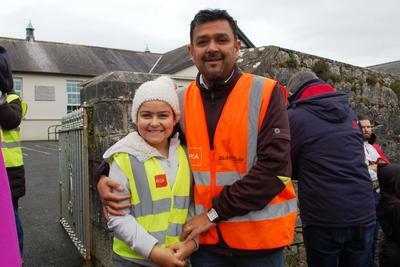 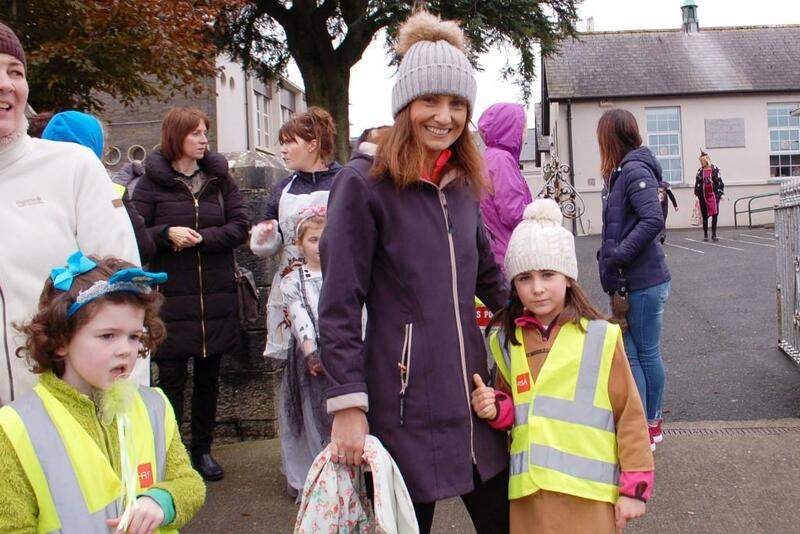 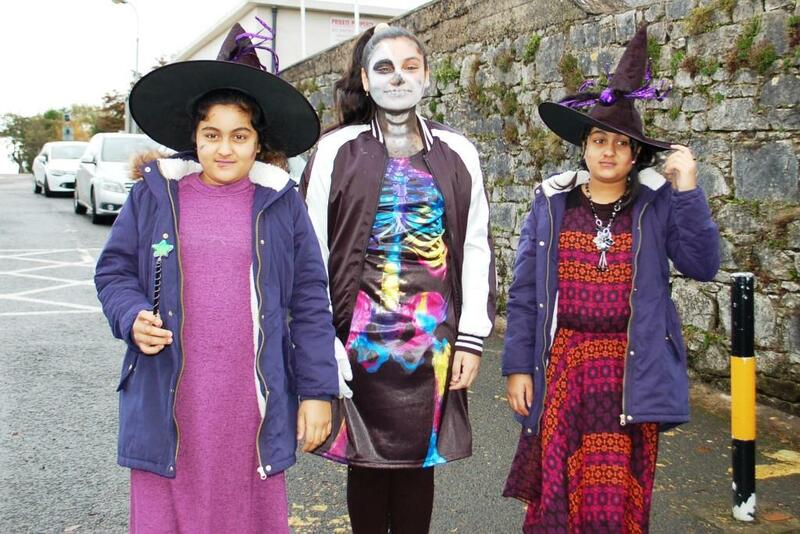 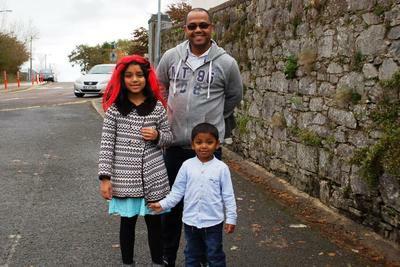 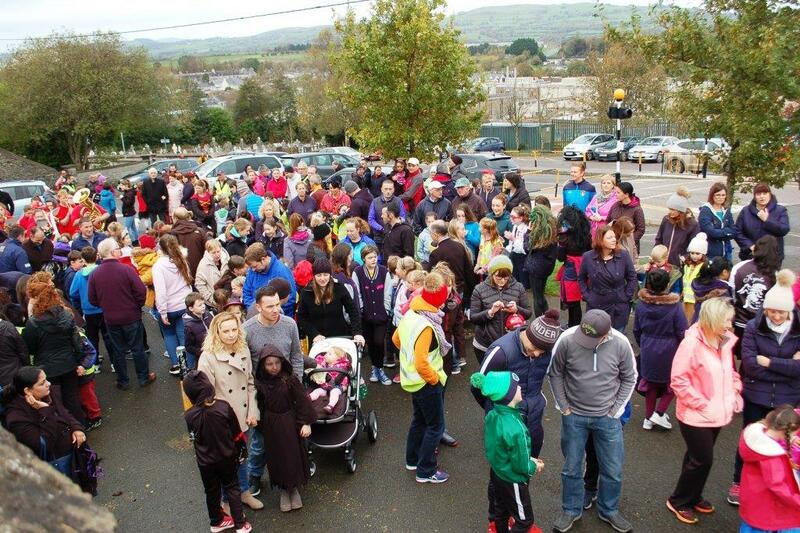 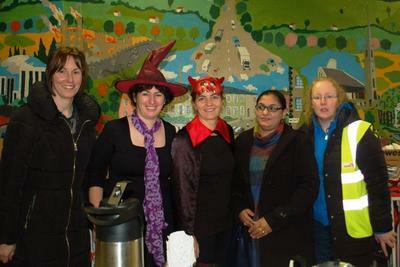 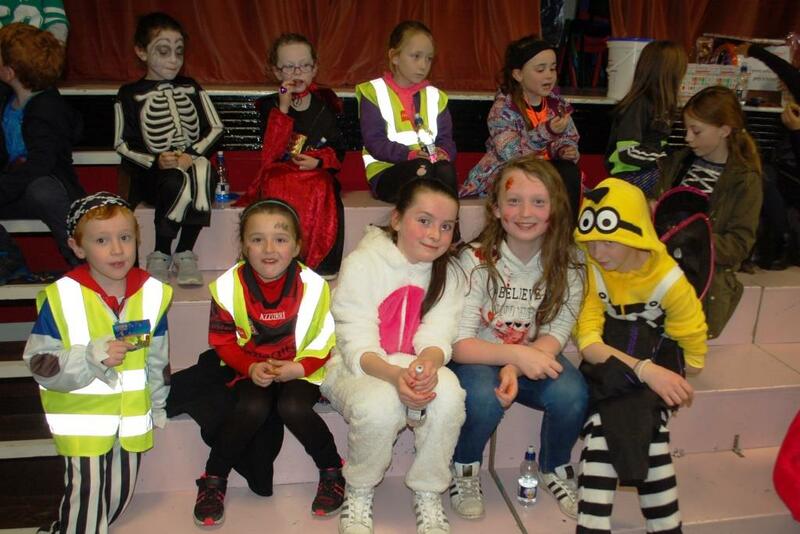 On 22nd October, the Parents’ Council of Bunscoil na Toirbhirte held their annual sponsored walk. 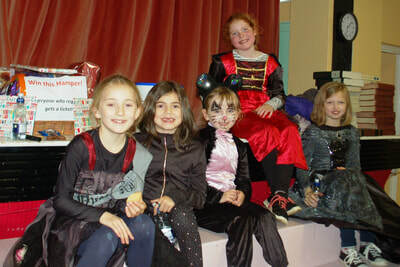 This year the focus for fundraising was the purchase of iPads for the pupils. 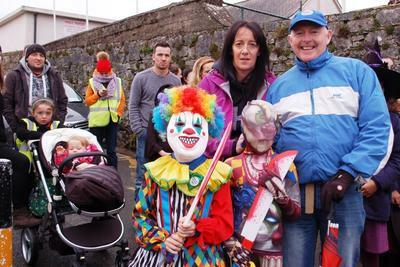 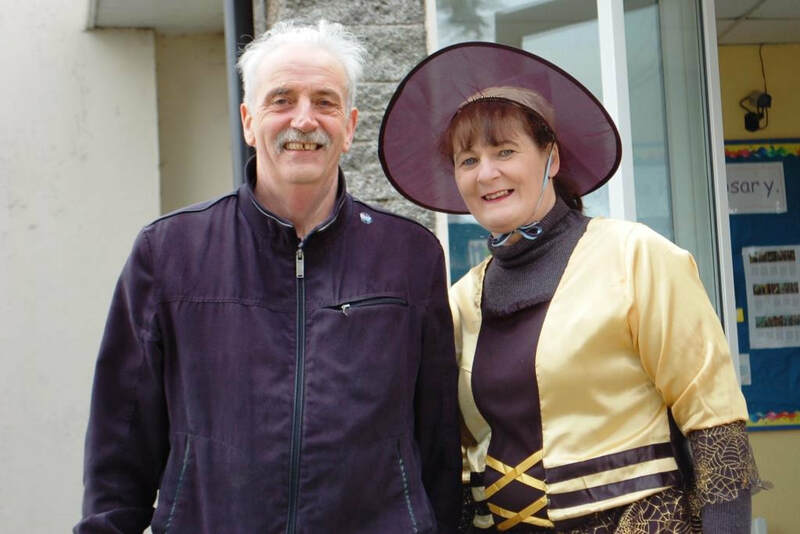 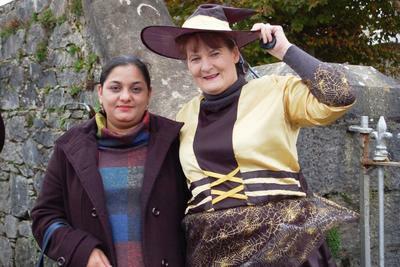 This annual event which has taken place for over twenty years was revamped this year and participants had the option of walking in Fancy Dress. 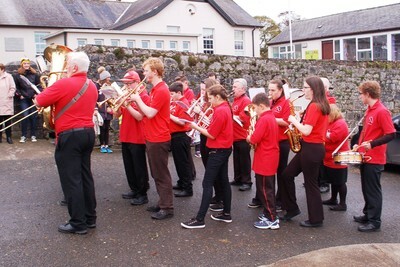 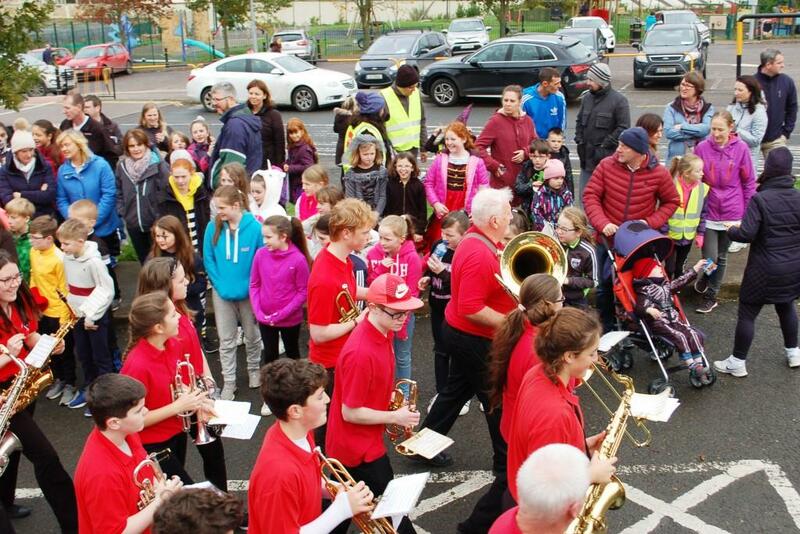 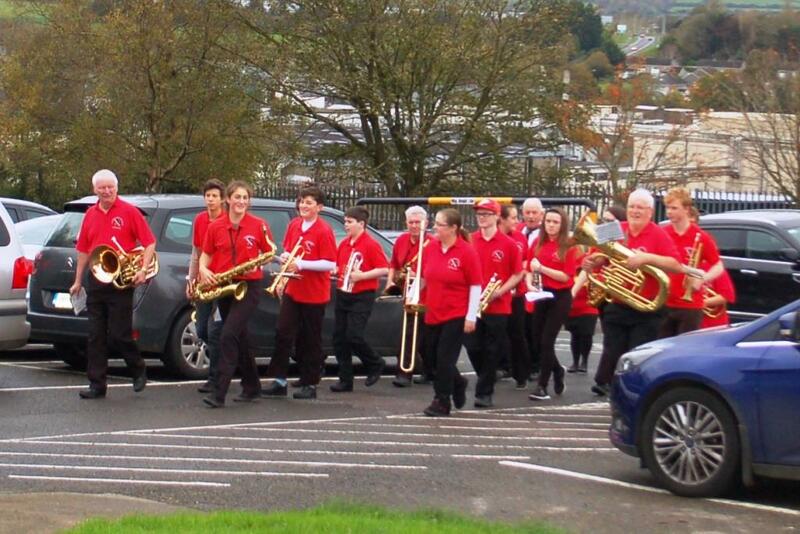 The James Fitzgerald Memorial Brass Band which has very close links with Bunscoil marched up the hill and set the atmosphere with a resounding performance for the school community who had gathered, in advance of the walk. Vinod Bernard welcomed people on behalf of the Parents’ Council and formally announced the start of the walk. The Band subsequently led the participants from the school to Mulberry Cross. 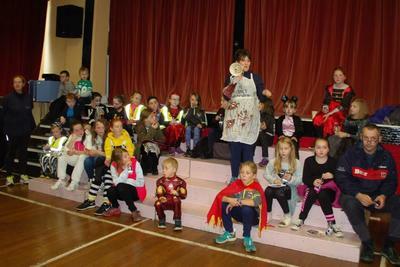 Most of the children had dressed up for this special occasion and a number of brave adults had ventured forth in costume also. 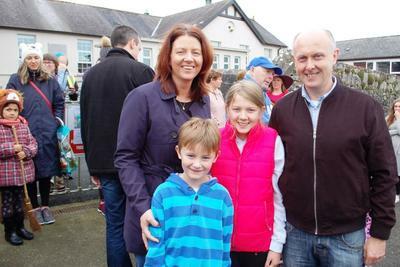 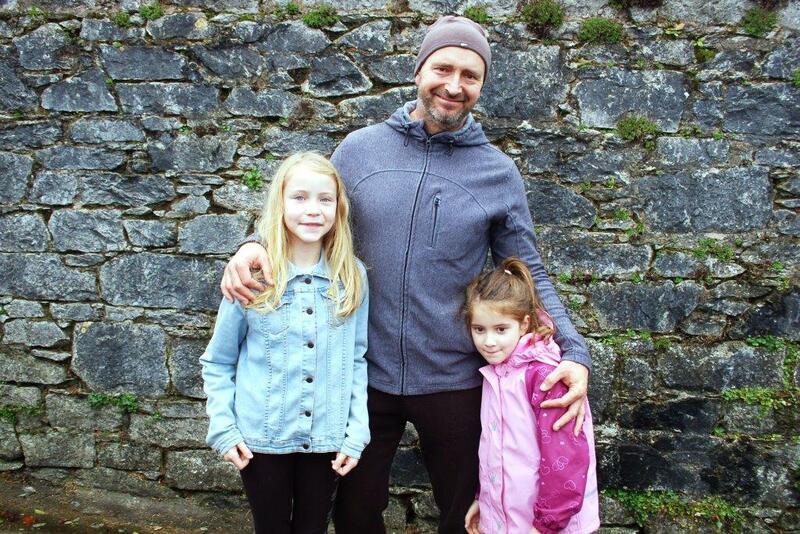 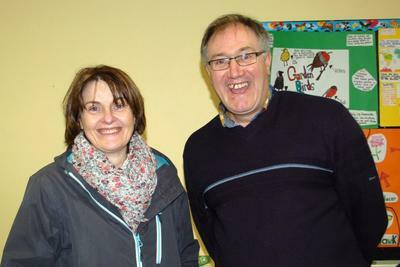 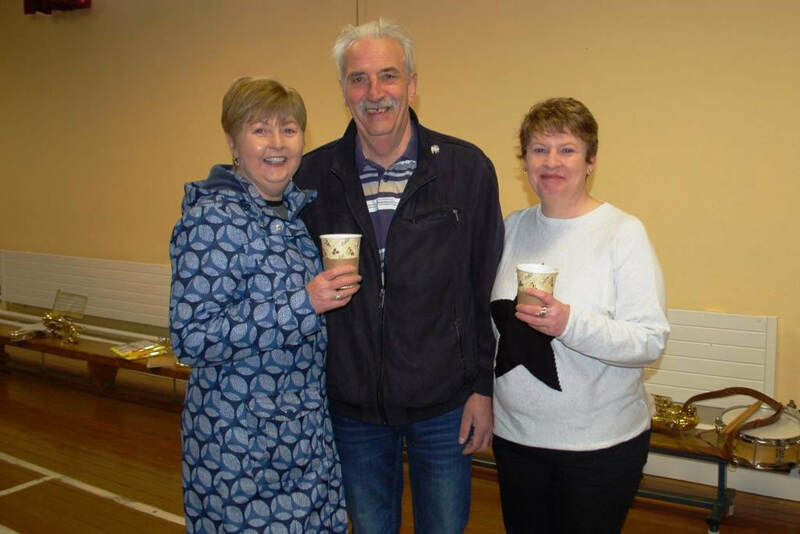 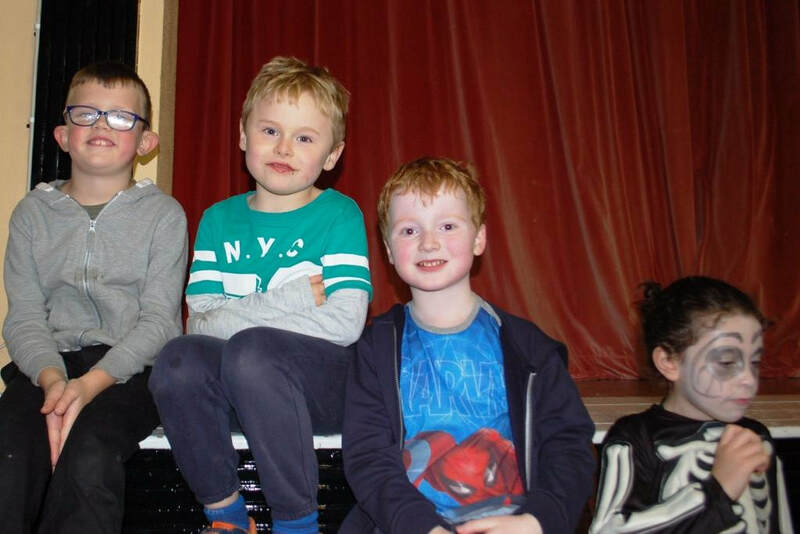 On return to school there was a raffle for three Art sets for the young people who had walked which were won by Naoise Lonergan, Micheál Walsh and Orla Fogarty. 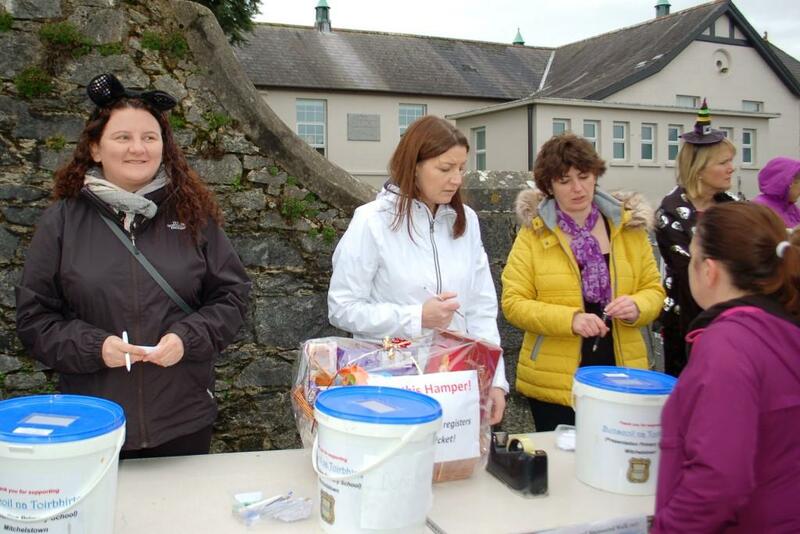 There was a draw for a Hamper for the adult walkers and this was won by Brendan English. 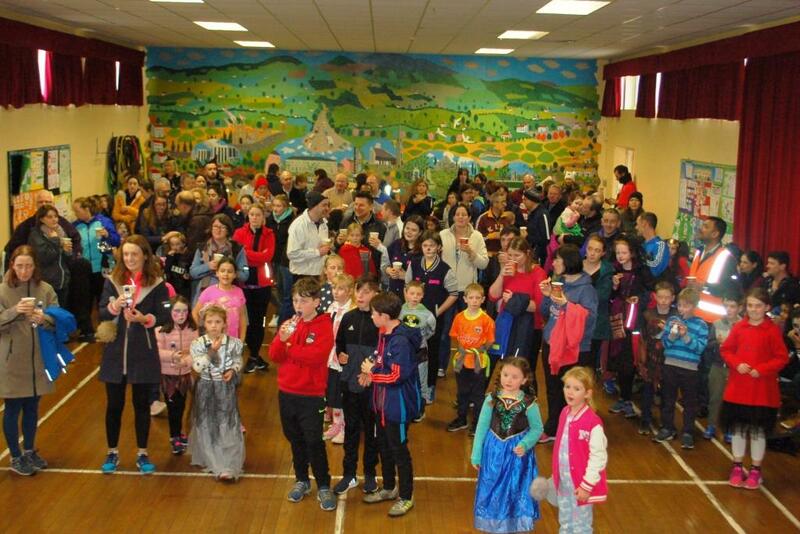 Most people availed of the welcome refreshments in the Halla afterwards; a cuppa and biscuits for the adults and a drink and sweets for the children. 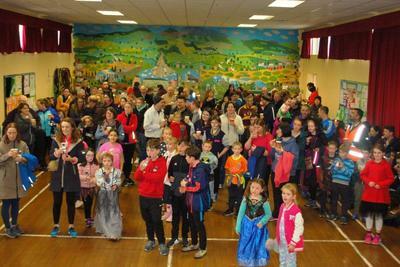 It was a very enjoyable occasion for everyone who took part, and afforded families an opportunity to meet each other in a social context. 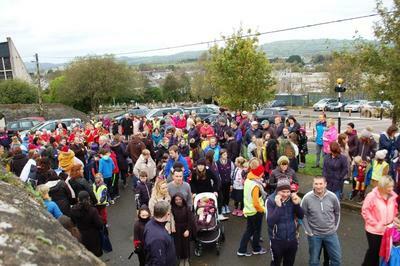 The Parents’ Council would like to thank everyone who took part in the walk, helped with the registration and the refreshments afterwards. They would also like to thank everyone who sponsored the children in this worthy fundraiser. 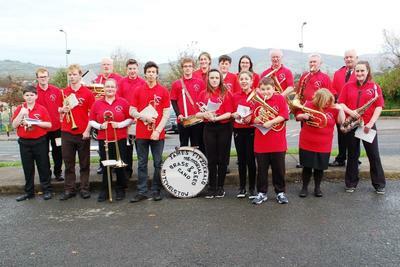 In particular they would like to thank the James Fitzgerald Memorial Brass Band who set the tone for the day. 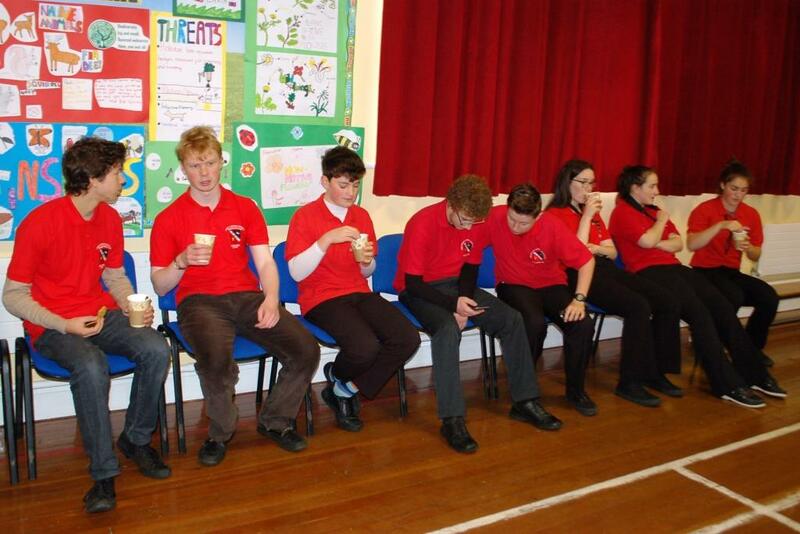 This lovely occasion will be remembered by the young people for many years to come!